"Brrrr, it's cold in here, there must be some Toros in the atmosphere!" Anyone else remember that cheer from the movie "Bring it On"?!?! Whenever it's super cold out, that line always comes to mind! I found two link-ups that I wanted to do today so I'm linking up with Teaching Trio AND Mrs. Stanford's Class! 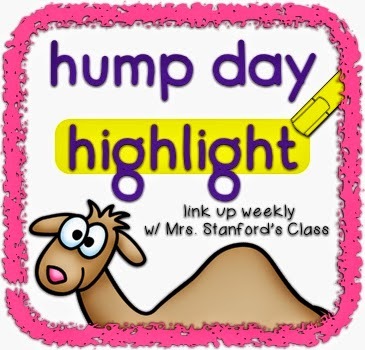 Teaching Trio's link-up is a Favorite Things linky and Mrs. Stanford's link-up is Hump Day Highlights. Be sure to check out both and join in the FUN!! 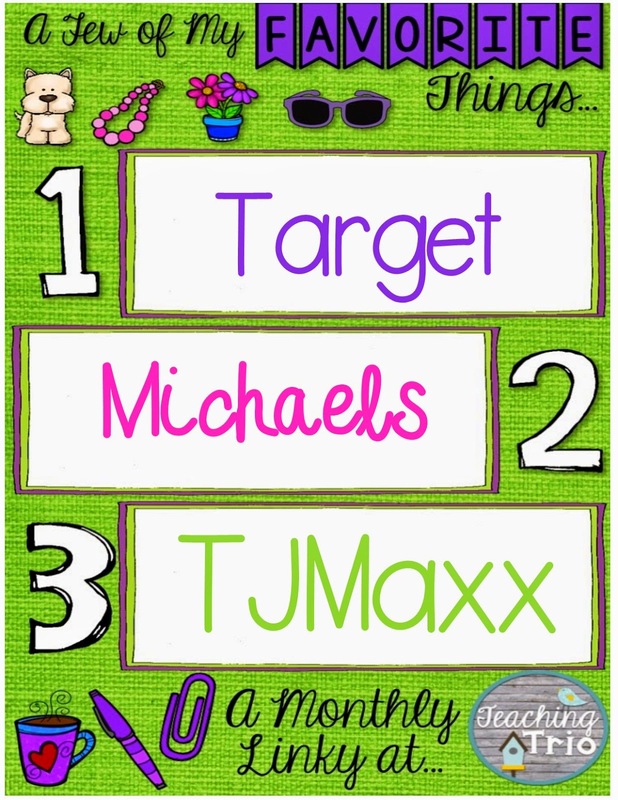 Here are a few of my favorite STORES!! 1. Target - Seriously, I LOVE Target!! I love shopping their clearance section and I always end up finding more than I originally go in for! 2. Michaels - I love baking and doing crafty things so Michaels is my go-to store for both! I like buying the larger holiday foam shapes (pumpkins, turkeys, trees, snowflakes, hearts, etc.) for my students. I take their picture, glue it on, and let them decorate. 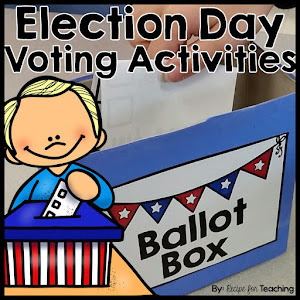 This is a great activity to have a parent volunteer do! 3. TJMaxx - I like to consider myself a "Maxxinista" hahahaha! I love a good TJMaxx!! I feel like whenever someone compliments something I am wearing I always say I got it from TJMaxx! Here is my highlight of the week! I posted this on my Instagram a few days ago, but this is one of my highlights of the week. 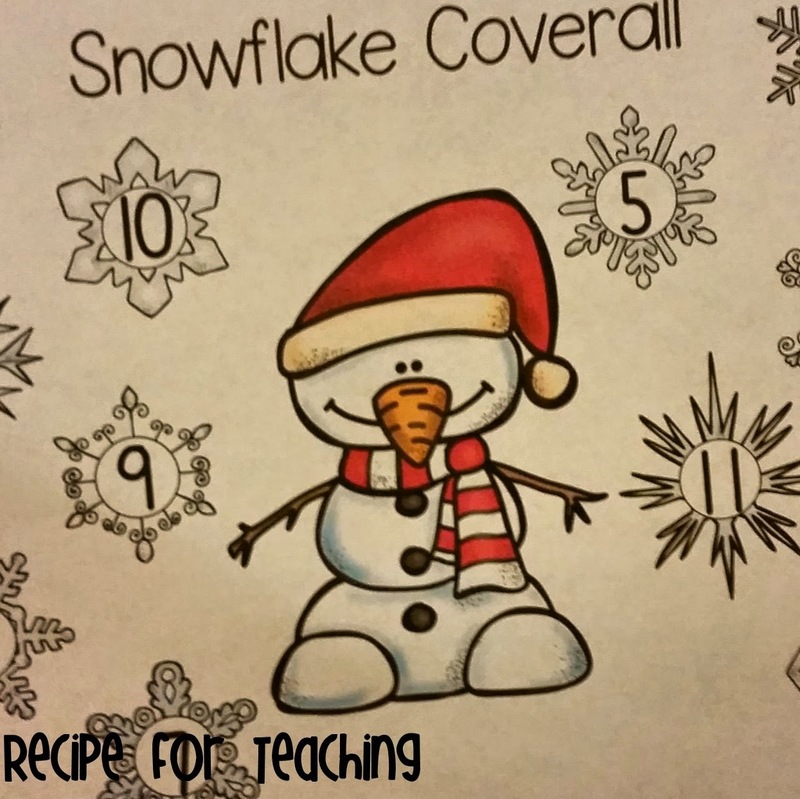 I created this "Snowflake Coverall" game (in honor of the cold weather) for my students as a math warm-up. For this game they need chips to cover the numbers, 2 dice, and the gameboard. They take turns rolling the dice, counting/combining the dots, saying "___ and ___ more is ___." 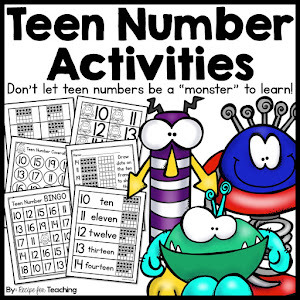 (Thank you Debbie Diller for your math talk suggestion in your math work station book!) They play until all the numbers on the snowflakes are covered. One of my teammates had a super idea which was to have them start with chips on the numbers, roll the two dice, and play to remove all the chips. Just make sure you use clear chips! We played it together as a class on Monday and I was able to use my interactive board to project it for my students, as well as the big yellow foam dice (always a big hit). Throughout the week I have had them do the activity in partners. 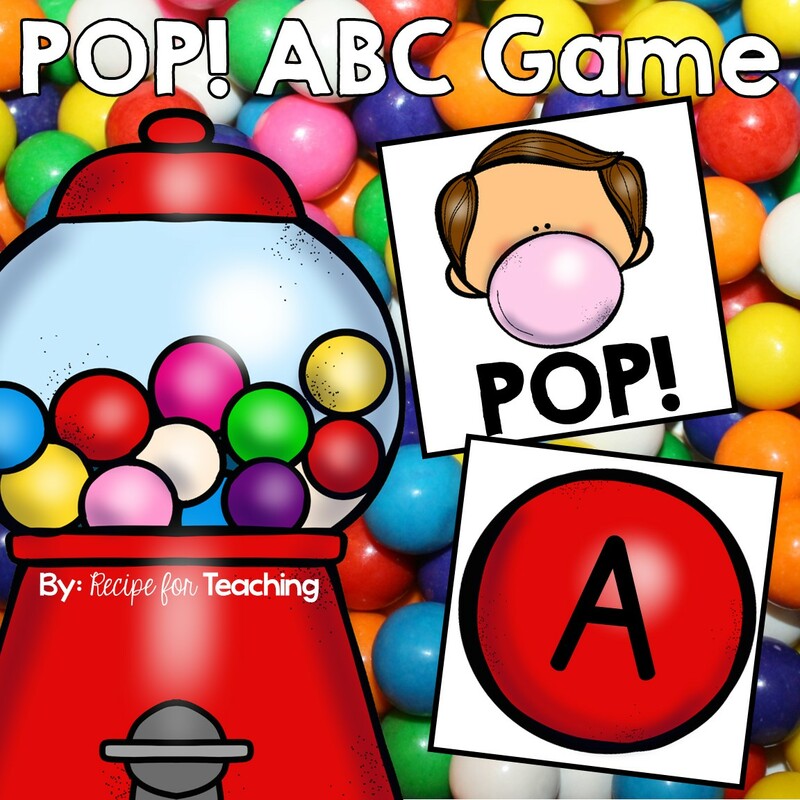 They love this and it is a great way of introducing them to early addition! Can't wait to check out the other blogs that linked up!